Use these resources to find information about AUT qualifications, entry requirements, regulations and stories of our successful students and alumni. This easy-to-read guide gives a summary of all AUT bachelor's degrees, certificates and diplomas. It includes information about entry requirements, the range of majors and the application process. 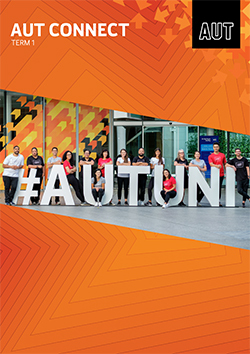 The AUT Prospectus covers all undergraduate and postgraduate programmes offered at AUT and provides an overview of what it's like to study at AUT. Our programme guides cover more detailed course information, details about studying at AUT and how to apply. Learn about industry trends, job descriptions and the skills you need for careers related to AUT programmes. Our Parents’ Guide informs parents and whānau about AUT’s strengths and history as a university, as well as providing practical information about what to expect from university study. 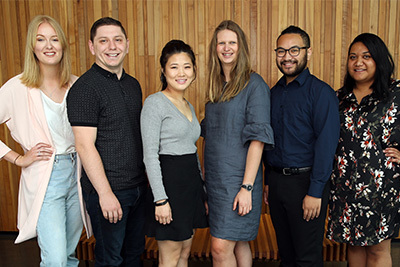 See where you can meet AUT's Future Students Team at events throughout the year to learn more about AUT and what to expect from university life. Our AUT newsletters cover science and business and economics and are designed to give educators the information to help their students progress into tertiary education. The Academic Calendar outlines the regulations and requirements for the qualifications offered by AUT. Use the online form to order print copies of our programme guides, study guides and prospectus. We can only send these to addresses in New Zealand. Download the latest issue of AUT Connect, our newsletter for career advisors.